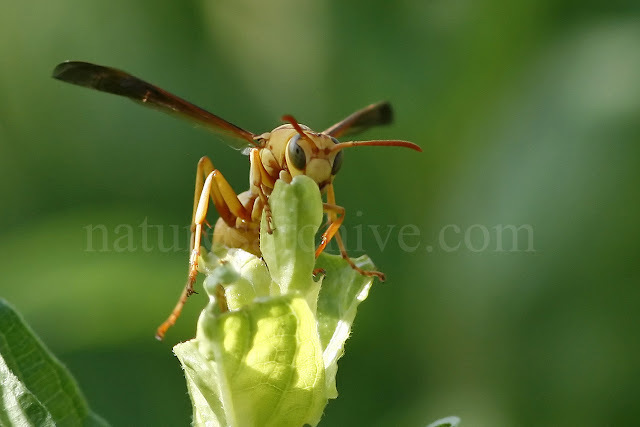 I had a wonderful look at what I believe to be a Golden Paper Wasp while on a recent trip to Boyce Thompson Arboretum near Superior, AZ. Golden Paper Wasp (genus Polistes) is very common in much of Arizona, though I'm not certain of the exact species. As always, comments are welcome with suggestions of the proper species identification. or two for closer focus, my 100mm is relegated to indoor super macro work.